The Launch Pad is a place dedicated to launching writing careers. Going well beyond what other competitions offer, we have created a platform that has helped more than 254 writers launch their careers. Utilizing our three competitions - pilots, features and manuscripts - as well as our advanced coverage services, we provide a hub that reaches far beyond a simple prize with your name listed on a site. The Launch Pad is a community of writers, executives, agents, managers and producers working together with one focus in mind – THE WRITER. The Launch Pad is brought to you by The Industry – The entertainment industry’s premiere source for all things spec market, breaking news, reviews, development and beyond. 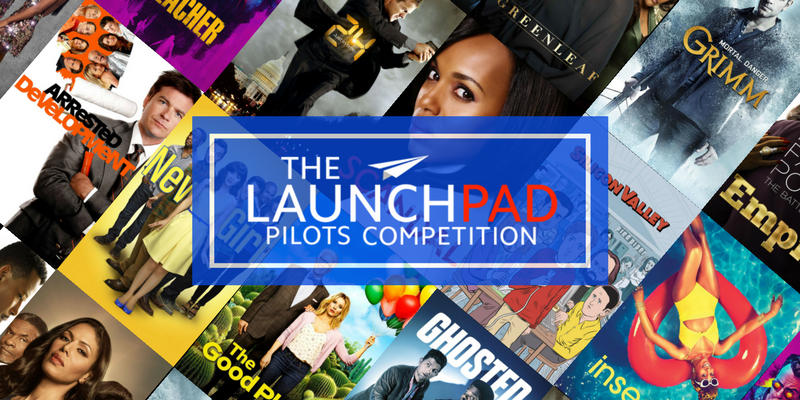 Enter our wildly successful Launch Pad Pilots Competition, featuring a judging panel comprised of 25 of Hollywood’s most successful agents, managers, producers and executives who are eager to read your work. With additional prizes and mentorship opportunities to take advantage of, our competition is poised to help break you into the business. 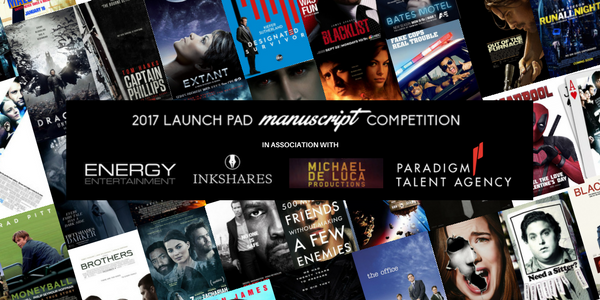 In an exclusive partnership with Michael De Luca Productions, Paradigm Talent Agency, Energy Entertainment and publisher Inkshares, we’re proud to introduce the newest addition to our Launch Pad competition slate. With a focus on screenwriters and authors alike, this competition will allow writers the chance to showcase their work by submitting up to 50 pages of prose and synopsis work, highlighting where the story will go. Featuring guaranteed publishing for our winners, as well as guaranteed signings, mentorships, and at least one guaranteed option from a major production company. Our most ambitious competition to date just became our most exciting! From the start, the competition has leveraged our deep relationships with Hollywood’s top agents, managers, producers, and executives and consistently assembled a “who’s who” panel of 25 judges for each and every competition. This year is no exception, with judges participating from Paradigm, APA, Energy Entertainment, Circle of Confusion, Di Novi Pictures, Bellevue, and many more. Whether a feature, a pilot, a manuscript or a comic book at some point every writer needs a fresh set of eyes. Why not let our professional readers help? Our readers have worked for some of the biggest names in film and television, and feature extensive backgrounds in development, writing coverage, and providing feedback to executives and producers, writers and directors. With our readers you’re receiving the same attention, detail and analysis most major studios and networks would receive. Why trust coverage from readers who’ve never worked in the industry, when you can get an industry perspective first? Our coverage program also features our TB Recommends program, which identifies writers and scripts that receive a recommend, and introduces them to Hollywood showcasing their work directly to those who matter. Previous writers identified in this program have seen their recommended scripts set up with Warner Bros., Appian Way, Scott Free, Fox and Amazon amongst others, and have signed with places such as CAA, WME, ICM, Energy, Industry, Madhouse Entertainment, and several more. Since its beginnings in 2009, The Tracking Board quickly became Hollywood’s premiere source for insider news, exclusives, film rights, development tracking, reviews, analysis and more, and in 2017 was acquired by The Industry. Now, The Industry is here to build on that tradition, not only as the home to the most robust spec market and exclusive job database in the entertainment world, but by establishing a state-of-the-art platform that will serve to tremendously enhance our dynamic, in-depth analysis of all things film, television, and entertainment. Over the coming months, as we introduce new, ground-breaking tools and features that will reshape the online entertainment landscape, The Industry is working tirelessly to become nothing short of the essential, all-encompassing destination for professionals and fans alike. Whether starting out, searching for an assignment, or researching a future employer, we have all the sources you need to take control of your career! When you join The Industry, you’re access goes well beyond just tracking the spec market. Featuring up to the minute breaking news, reviews, films rights, casting details, industry jobs, tracking reports, a robust sales market database, opinion pieces, VIP events, and more, we give you a complete look at Hollywood's film and television world, with an eye towards tracking projects from inception to release, with complete coverage of the market from a data driven, opinion, and journalist perspective. Sign up today, and receive 10% off every competition entry, and $25 off every coverage submission. With discounts like that, the membership almost pays for itself. THREE COMPETITIONS. ONE LOW PRICE. ENTER ANYTIME. stress of entry? This year, we’re introducing the ALL ACCESS PASS, which grants you access to all 3 of our Launch Pad competitions (Pilot, Feature, and Manuscript Competition). The All Access Pass allows you to enter at any time during the competitions (from early bird to last minute), grants you free entry to our Mentorship Program & Guaranteed Signing add-ons, and will save you hundreds of dollars. We want you to stay focused on the writing, not the calendar. Remove the stress of deadlines and last-minute entry fees today by picking up your all access pass for $250 and immediately saving over $200 on entry fees and add-ons. you’re ready, not at the will of a loud ticking clock. Give yourself the extra time you deserve and upload when it’s most convenient to you. With the All Access Pass you can submit at any time during the currently running competitions, regardless if it’s the Early, Regular, Late, or Last Minute. Just submit before the end of the last-minute deadline for each competition and you’re set. Don’t let dollar signs dictate your creativity! Following the momentous success of our first years of competition, in 2015 we began partnering with major agencies and management companies to work with them to help identify a minimum of one script and writer each competition that they would select to represent. Our partners have already included Energy Entertainment, Good Fear Film + Management, Paradigm, ESA, Lee Stobby Entertainment and Heroes & Villains Entertainment, with many more to come.